Today Microsoft finally announced the phones behind Project Pink. They are not the Turtle and the Pure, but the KIN ONE and KIN TWO... What? Don't you like the names? Yes, we think the Turtle and Pure would have been better, but what matters is the phone itself, right? So, let's check out what these two social-centric feature phones have to offer. Yep, you heard that right - the Microsoft KIN ONE and KIN TWO are not Windows Phone 7 (remember it's without Series now) smartphones (though the software shares some core elements with WP7), but feature phones, as they do not have support for 3rd party apps. So Microsoft introduces them simply as Windows Phones. So what interface are they running then? It wouldn't be a mistake to say they are running the KIN UI. They are that different from what one would expect from the company. The KIN ONE and TWO are designed for users of social networks or people who just enjoy sharing... different stuff. And judging by what was shown at the event today, you have to enjoy really LOTS of sharing in order to fall in love with the KIN ONE and TWO. So the KIN ONE is the Turtle. And it has a slide-out portrait QWERTY keyboard and capacitive QVGA touchscreen, which will let you interact with the custom interface. It has a 5MP camera with flash and 4GB of internal storage space. The KIN TWO is the more powerful of the two (and also the bulkier) with capacitive HVGA display, 8MP camera with HD 720p video capture and flash, as well as 8GB of storage space. 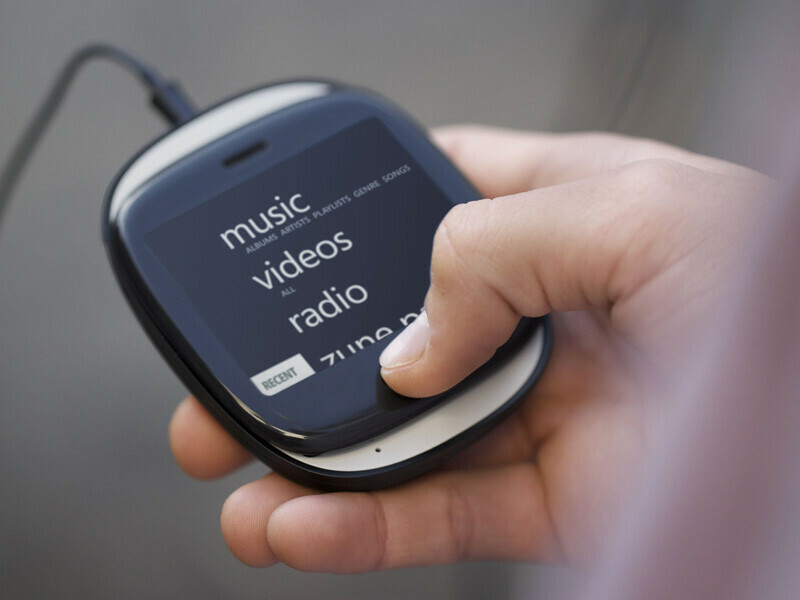 Both phones will have a Zune HD player to handle your multimedia, like in Windows Phone 7, as well as Wi-Fi and 3G connectivity. The KIN interface is very reminiscent of the simplistic style of Windows Phone 7, although it's like it's taken to the next level here. Your homescreen, called KIN Loop, will flood you with information about updates from social networks, news from your chosen sites, etc. It will be highly personalizable, so it will show information that's only important to you. From here, you can utilize the so-called KIN Spot (the area at the bottom-center of the screen) in order to share things. When you see an interesting news story for example, you can simply tap-and-drag it to the KIN Spot. You'll then be prompted to choose the people you want to share this with, and then you're done. And that's all, we told you it's all about sharing with these devices. The browser is not Internet Explorer Mobile, but a proprietary one that is said to be based on the Zune HD's browser. You still have the pleasures of pinch-to-zoom functionality. From here you can also quickly share things using the KIN Spot. And finally, Microsoft has also announced KIN Studio as an accompanying service. Basically, almost all that you do on your KIN phone will be automatically backed up on the Studio. It is a cloud-based service, which can be accessed from any computer you want. There you'll find all your taken pictures, videos, text messages, etc. There will also be a timeline, which will allow you to kind of go back in time and see your activity. As rumored, Verizon Wireless will be carrying the Microsoft KIN ONE and KIN TWO, starting in May, while Vodafone will be offering the phones in Europe this fall. I just did my training on it and the studio is going to make this phone successful hands down. it's UI is really intriguing and easy to use. 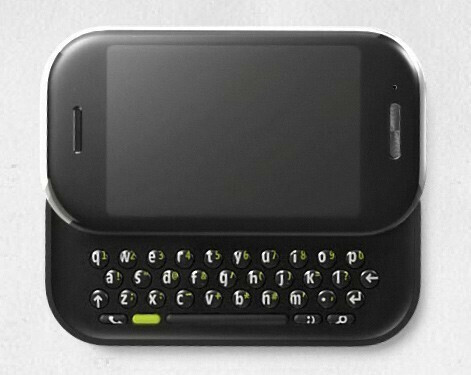 Long live the memory of the sidekick!! 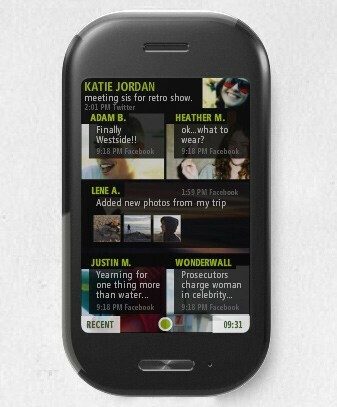 I kinda like these look streamlined although I love my Android Moment. Camera specs look good. Any chance of comming to Sprint?? Prob not damn Verizon lol. I've seen more Sprint commercials on TV that AT&T or Verizon. They also sponsor or have a connection with the show 24, since they only use Sprint devices on the show. The reason that Sprint isn't advertising the EVO 4G is because its not out for a while, and they dont want everyone to wait for it to come out and not purchase other Sprint phones. That's just smart marketing. And Palm took a crap on itself. At my store every Pixi I have sold came back with some mechanical failure or people didn't like it. Every, single, damn, one. And even the Pre had serious hardware issues. One and Two, huh? Makes me think of one-fish, two-fish, red fish, blue fish! So no app support? Not even Zune Marketplace apps? Come on... I like them, but without any app support it kinda makes them meh. meh..CDMA is where everyphone gets screwed with far more advanced features compared to GSM's advancement to be able to surf n talk sametime! These Things look no more like an HD camcorder with built in social apps...thats it? Because everyone really needs the feature where you talk and browse. SMH. Get over it. People can do Wifi and talk at the same time on a Droid, so now what? Go cry over the lack of support you'll be getting on your first gen iPhone in the coming months. no one mentioned iphone fanboy. Too bad the 3G coverage for the fancy "surf & talk" is so limited you might as well find the nearest WiFi hotspot. First of All "Kin One" and Kin TWO" Sounds a lot more like a Microsoft product than phone arenas Crap names "Turtle" and "Pure" I knew those names wouldnt stick for nothing. You have a browser called Bing, and MP3 called ZUNE, and a Phone called Kin. BING-ZUNE-KIN sounds like a street fighter word, lol...these look nice probably targeted for 11-19 year old, good ideas...Id like to know screen sizes though Also @JRCROW79, thats pretty stupid...Im pretty sure you are luke wilson in desguise. CDMA is exactly what this phone needs to operate at the speeds its meant to. 3.4in for the Kin Two. Which is pretty good. BTW, is SanDisk no longer a partner? All this talk about the internal storage and cloud storage makes me think it probably won't. But then why did they announce that their products were compatible with these phones? The concept of the videos are way cool! wow love the interface. Don't love the physical design..
EPIC FAIL! 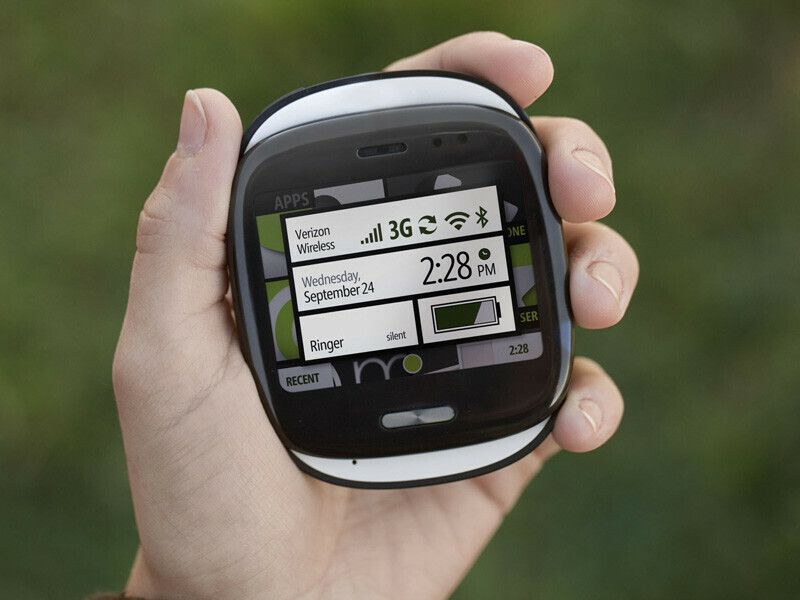 The design is a tacky rip off of the Palm Pre! And only CDMA? CDMA is dead; this phone is destined for the dump before it is even released!! !